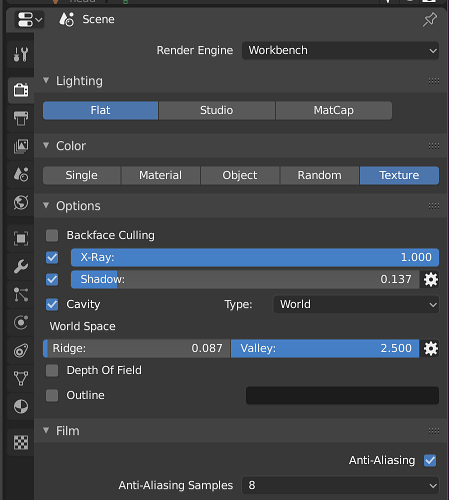 I really like the aesthetic of the flat lighting in blender workbench renderer in combination with the shadow and cavity options, but I’m having difficulty with shadows not taking in to account the transparency/alpha of textures. Is this just a limitation of workbench, or is there a work around? Otherwise, is there there a similar way I can produce the same aesthetic in Eevee? I know I can use an emission shader to get the flatness of the lighting - but I have difficulty producing shadows and cavities in a similar way?